Lady Godiva Dark Chocolate Biscuits, 12 pc. Lady Noir Chocolate Biscuits, 12 pc. Assorted Chocolate Biscuit Gift Box, 20 pc. Nothing Heals the Soul Like Chocolate Journal & Gold Discovery Gift Box, 6 pcs. Ring Tray with Assorted Chocolate Gold Favor, 4 pc. G by Godiva Milk Chocolate Hazelnut Crisp Bar, 42% Cocoa, 2.7 oz. Assorted Chocolate Gold Favor, Personalized White Ribbon, 2 pc. Assorted Chocolate Gold Favor, Personalized Wine Ribbon, 4 pc. Assorted Chocolate Gold Favor, White Ribbon & Silver Heart Charm, 2 pc. Assorted Chocolate Gold Favor, Personalized Pink Ribbon, 4 pc. Gold Discovery Gift Box, 6 pc. Milk Chocolate Covered Pretzels Canister, 1 lb. In need of a special gift for a special occasion? 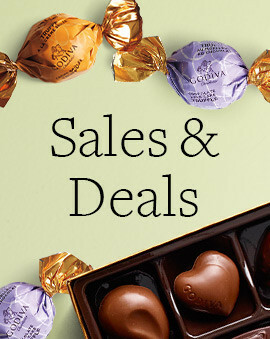 We've got you covered with our GODIVA selection of gifts under $25. From romantic chocolate hearts to flights of delicious truffles, these gifts will help you stay on budget. 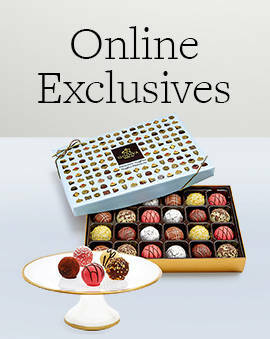 And because they’re filled with gourmet GODIVA chocolates, that special someone will know just how much you care. Be prepared for a warm hug with these delicious gifts under $25. When it comes to cheap chocolate gifts, go for quality over quantity. 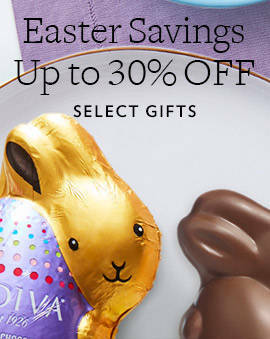 Even the cheap chocolate gifts make a great impression when they feature the best chocolate from GODIVA. 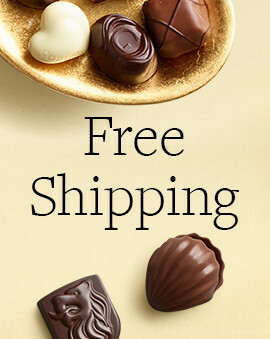 If you want to give something really small as a token of gratitude, the chocolate gifts under $10 featured here can also make for a sweet gesture. These chocolate gifts are a superior alternative to something less luxurious and delicious. Tell them you want nothing but the best for them with one of these chocolate gifts. 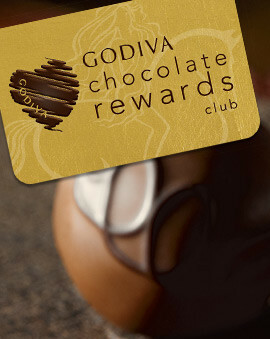 What makes GODIVA gifts perfect is the universal appeal of fine chocolate. These unisex gifts under $25 are ideal for small presents or a gift exchange at the office like a secret Santa. And if you are looking for even more budget gifts by holiday, check out holiday gifts under $25 and Mother's Day gifts under $25.